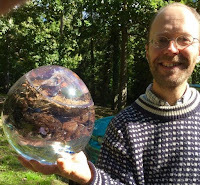 Buzz Kill Ramblings of Tim Louie: THE NATIONAL POO MUSEUM? 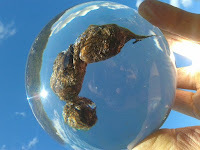 Well, those who know me, know that I have this poo obsession. For those who didn't know, I even wrote a book about pooping in your pants called S**t Happens, which is available on Amazon.com. Anyway, a newly opened museum in Great Britain is promising to get to the bottom of the bowel movements. The National Poo Museum opened last week at the Isle of Wight Zoo, where visitors can see excrement-oriented exhibits like feces from more than 20 different animals including elks, lions, and a human baby. 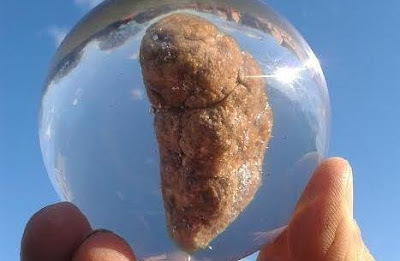 They even have fossilized poo (or coprolites or as I call them crapolites) dating back 140 million years. Nigel George, on of the crap curators, says the reason for doing a museum dedicated to doody is simple: "Poo provokes strong reactions." George went on to say in an interview, "Small children naturally delight in it but later we learn to avoid this yucky, disease-carrying stuff, and that even talking about poo is bad, but for most of us, under the layers of disgust and taboo, we're still fascinated by it." To make sure the museum's poo didn't stink, the curators had to build a special dung dryer, according to co-poo-curator, Daniel Roberts, who also said, "A stick insect poo can be desiccated completely in an hour or so, but a lion poo can take a fortnight (two weeks) to dry out." The National Poo Museum will be at the Isle of Wight Zoo through the summer before going on tour. Although, it's billed as the first-ever museum to "number two," that statement may have been made in the flush of publicity. Turns out, Italy opened one last year in a small town of Castelbosco. In addition, back in 2012, the city of Suwon, South Korea, opened Mr. Toilet House, a museum and park that features statues of humans and animals going to the bathroom. Either way you want to flush it, I still think it's awesome that there even is a museum dedicated to poop. Maybe with any luck, my book S**T Happens will make it into the museum dedicated to the one thing I seem to be obsessed with. I hope this crappy museum hits our neck of the woods because I will surely be there.